ICT service-providers are to daily face the problem of delivering ICT services (data processing (Dp) and/or telecommunication (Tlc) services) assuring the best compromise between Quality of Service (QoS) and Energy Optimization. Indeed, any operation of saving energy involves waste in the QoS. This holds both for Dp and for Tlc services. This paper introduces models the providers may use to support their decisions in the delivery of ICT services. Dp systems totalize millions of servers all over the world that need to be electrically powered. Dp systems are also used in the government of Tlc systems, which also require Tlc-specific power, both for mobile networks and for wired networks. Research is thus expected to investigate into methods to reduce ICT power consumption. 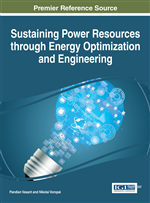 This paper investigates ICT power management strategies that look at compromises between energy saving and QoS. Various optimizing ICT power management policies are studied that optimize the ICT power consumption (minimum absorbed Watts), the ICT performance (minimum response-time), and the ICT performance-per-Watt. The growth in ICT energy consumption is driven by the growth of demand for greater data processing (Dp) and larger access to telecommunications (Tlc), within almost every organization. Increased energy costs for business and government. Increased emissions, including greenhouse gases, from electricity generation. Increased strain on the existing power grid to meet the increased electricity demand. Increased capital costs for expansion of data center capacity and construction of new data centers. Increased capital costs for expansion of wired and wireless access to communications. Made 100 the total electrical power consumption for the ICT, around 14% is taken by the mobile Tlc, 74% by the wired Tlc and the remaining 12% by the Dp technology. Dp, however, is only apparently the less powered sector, since Tlc is itself a Dp consumer, and so any effort to reduce the Dp power consumption may produce cascade effects that also reduce the Tlc one. Studying ways to save Dp power in thus central to any study for ICT power control and optimization. In the US, power absorbed by data centers is estimated in more than 100 Billion kW, for an expenditure of $ 8 Billions a year, that corresponds to the expenditure in electricity of about 17 Million homes (Harchol-Balter, 2010). This same US-local data-center problem becomes a global one when seeing at power consumption by web companies, say Google, Yahoo etc. The number of Google servers will reach an estimated 2,376,640 units by the end of 2013 (Dean, 2009). Assuming a busy server absorbs around 240 W of power, Google will need about 600 MW of electrical power by the end of year 2013. In Tlc systems, about 90% of Tlc-specific power consumption is concentrated in the routers. The links only absorb 10%. Current routers consume between 0.01 and 0.1 W/Mbps (Vereecken, VanHeddeghem, et al. 2010). IT research is thus expected to investigate into methods to reduce power absorbed by Dp and Tlc systems. To do that, one may decide to adopt policies to periodically switch-off Dp servers or Tlc routers when they are in an idle-state. Such policies, however, are to be sufficiently intelligent not to degrade the system Quality of Service (QoS). Indeed, returning an off-server or an off router to its on state requires spending a non-negligible amount of setup time that makes the server or router slower to respond to customer requests. This may turn into low-quality services such as low response to web queries, unsatisfactory VoIP communications and streaming of data. Any research in power management should thus look at compromises between energy saving and QoS. In this paper, studies on Tlc power management policies and then on Dp power management policies will be discussed. Tlc systems may consist of wired or wireless access networks or of a combination thereof. In addition to the basic Dp infrastructure, Tlc systems also include Tlc-specific subsystems: cell-phone, towers with associated base stations, subscriber stations, switching nodes, etc., for the wireless part, and communication processors, routers, gateways, switches, etc., for the wired part. Power management in Tlc systems, thus, includes not only power optimization of their Dp infrastructure, but also power optimization of Tlc-specific subsystems.